I’m working on a blog, and my short story and my article, honest. I’m really not just sitting back and enjoying the company of men. This is serious research. It’s called living. Ever do it? I know you have. But, I’m not just taking time out of my day to start a fight; I’m really trying to make a point. Just because I’m not sitting at my kitchen table writing like a fool out of school doesn’t mean I’m not working on anything. I have reached a state. This state is not a “wall” or a “black hole” but a state. 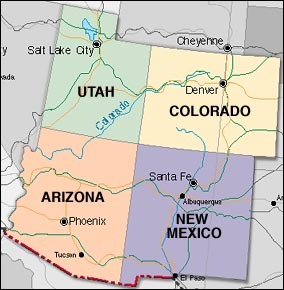 The location of my metaphorical existence is not too unlike the area of the United States called “The Four Corners”. 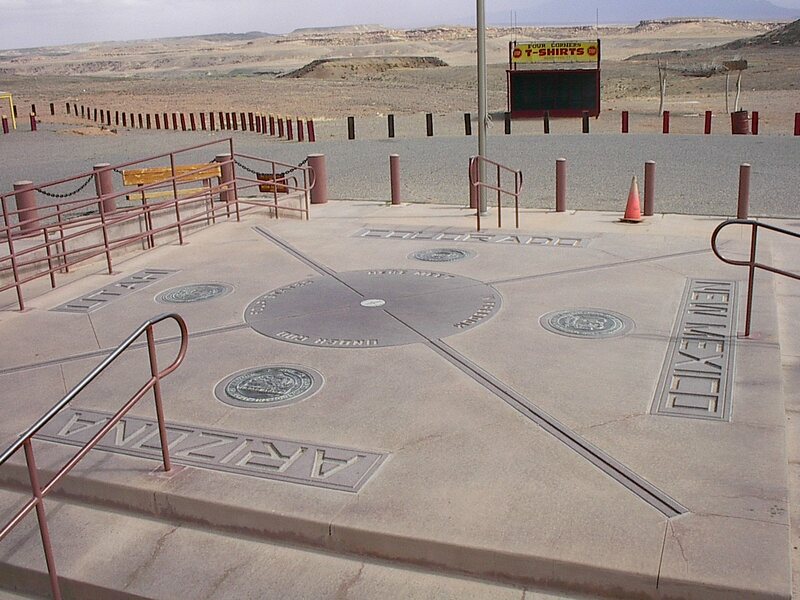 At this point on the map the four corners of Arizona, Utah, Colorado and New Mexico meet. There is a marker on the ground and if a person wanted to they could take a big step North, South, East or West and literally be in a different state each time. Very cool. So that’s where I am- in the middle of that kind of state; I’m active, working, have a good family and personal life, AND… My writing has almost ceased. What the heck is that all about? Must I be in pain and anguish before I write poetry, or have an ice cream & pizza dream before I get inspired? Please no more! NO MORE GRAVY! You caught me- it’s true I’m not writing. So, how do I get started again? A good blogger friend of mine recently re-introduced me to T.S. Eliot. Eliot 1888-1965, was an American born English poet who was awarded the Nobel Prize in Literature in 1948. I bring him up because his poem “East Coker” has been ringing in my ears the last few weeks. When something nags at you long enough it deserves attention. Now, some would say that the poem is about man’s relationship with time, the universe, and the divine. Today I see it more as if you want different results then you MUST DO SOMETHING DIFFERENT. Can a person move in four directions at once? Yes, if they move UP! Trying something new, stirring up the pot— will I fall off the edge or is that where I need to go?